Foundation Launch Big Hits Initiative!! 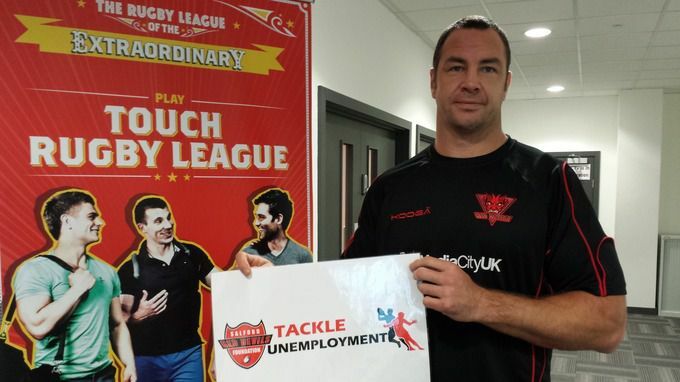 A project run by the charitable arm of Salford Red Devils rugby club has received funding to tackle youth unemployment. Salford Red Devils Foundation will use the money to expand its Big Hits initiative in Salford and neighbouring Trafford. It will offer young people aged 14 to 21 the chance to access courses such as first aid and sports coaching. Participants will then use their skills to deliver sports sessions, including touch rugby, for schools and community groups. As part of the project, tutorials will also be given in financial mismanagement and gambling addiction, along with career advice. Salford Red Devils Foundation was one of eight groups across the North West to share #2.7 million via the Big Lottery Fund's Reaching Communities programme. The Tackle Unemployment scheme has proved extremely successful in the past, running for a total of three years and engaging young people in employment consistently.